The following Food & Drink Magento Template is actually the ultimate blend of breathtaking design and exquisite capability of a wonderful online shop. Market foods or food and drink equipment, or nearly all sorts of things using this delightful Food & Drink Magento Layout. Check out the layout plus every one of the features that are available within the live demo! If you want to boost your food sales, try to launch a website. Online shopping is getting more and more popular daybyday. Just agree that it's much more convenient to order all necessary products on the go and free your time for more pleasant things. All you need is an appetizing website and a good marketing strategy. This template will solve the problem with website design. Its bright, attractive images will make mouthwatering affect on the customers. Please note that background image produces the sense of depth and perspective. Banners placed around the slider have zooming effect. New products are marked with orange stickers. It's commonly recognized that orange color stimulates appetite and mind activity. We hope you like the template that is on your screen now. It can become yours today. 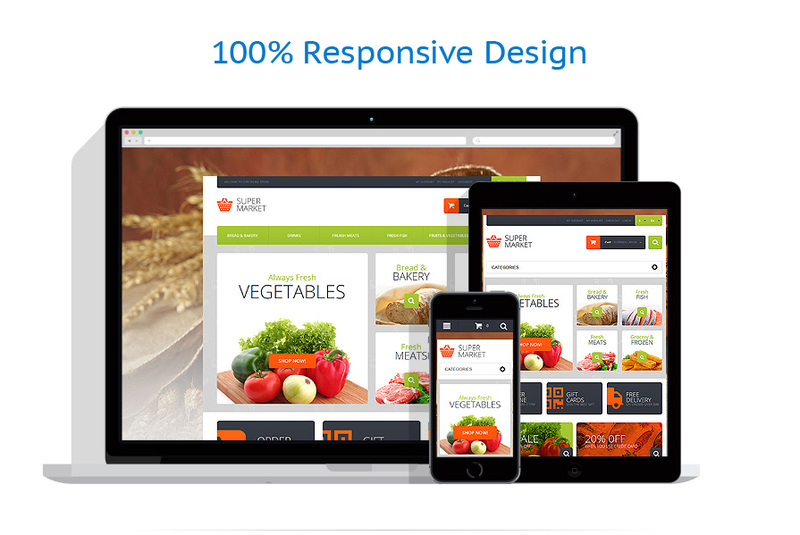 The theme is good for online supermarket, food or grocery stores.